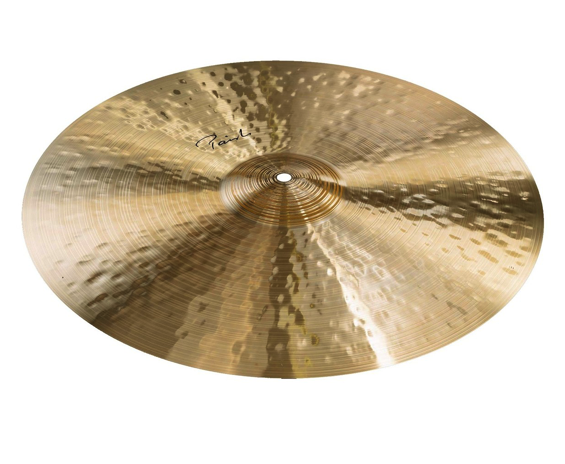 The Paiste Signature Traditional 20" Thin Crash Cymbal offers dark tones to the technical musician. This model's tone is transparent and warm making it suitable for jazz and rock styles. This model features a slightly thinner weight than standard, resulting in a more sensitive response. The 20'' diameter is a classic size for achieving a range of styles. The hammered top produces a more complex harmonic response, as well as having more instant playability. The Signature Traditional 20'' cymbal is an ideal addition to any drummer's studio setup.